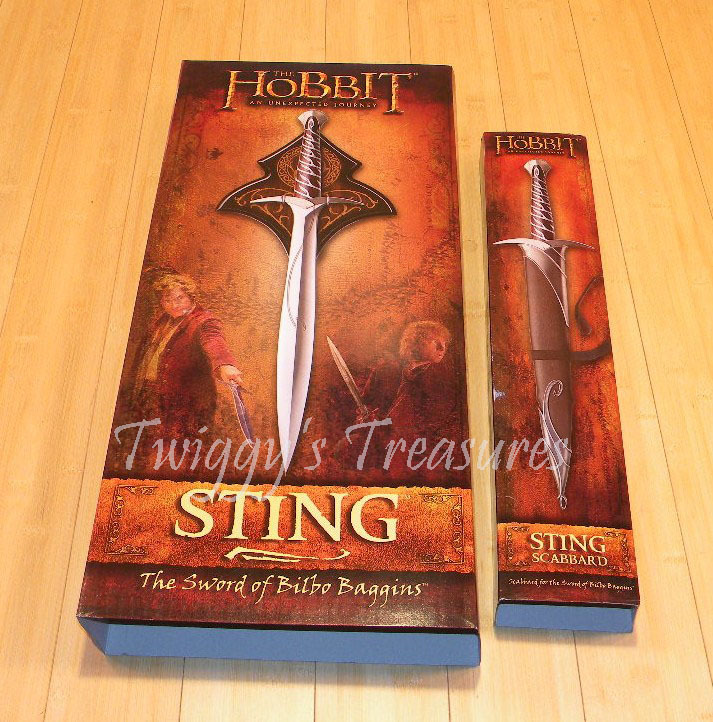 The sword of Bilbo Baggin's makes a new appearance in The Hobbit: An Unexpeced Journey. 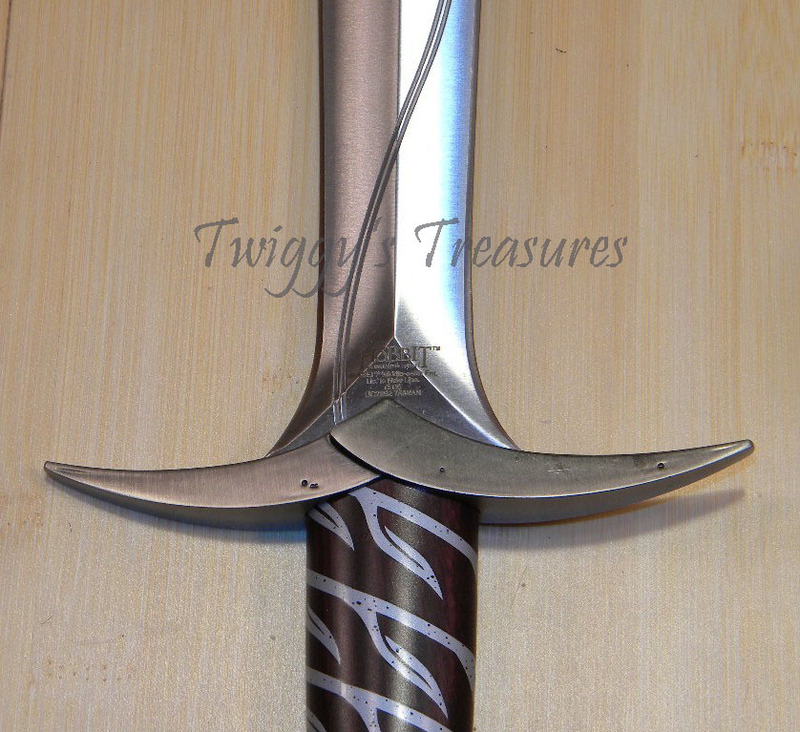 The Sting sword features a stainless steel blade, solid metal hilt parts, and an intricately detailed vine adorning the crip. 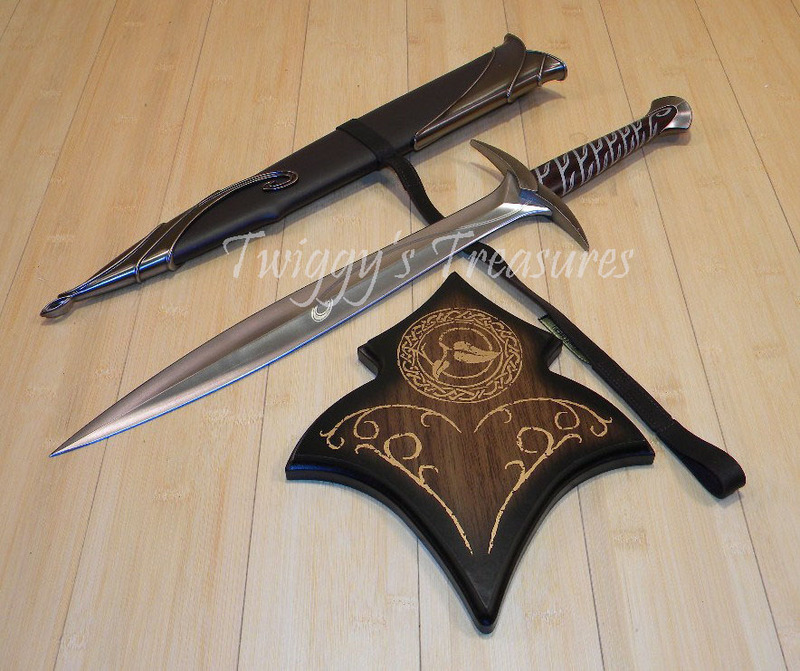 It is presented with a wood wall display featuring graphic motifs from "The Hobbit: An Unexpected Journey", and includes a certificate of authenticity. This item is made by United Cutlery as a movie reproduction. 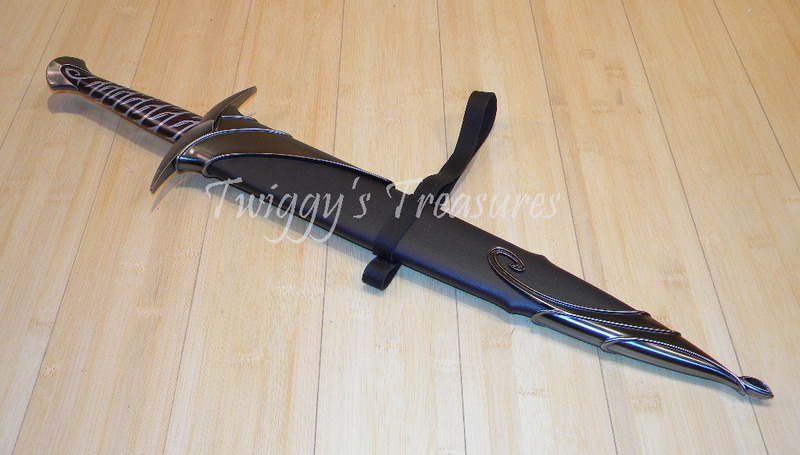 We are also offering the hard scabbard for the Sting sword as well. ▪ Overall Length: 22 5/16"
▪ Blade Length: 15" Blade width at widest part: 1 5/8"
▪ Includes: Hard Scabbard and Hardwood Display Plaque. Also comes with certificate of authenticity.